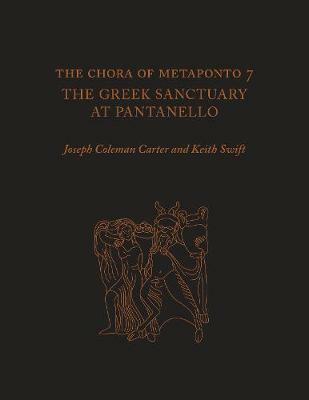 The seventh volume in the Institute of Classical Archaeology's series on the rural countryside (chora) of Metaponto is a study of the Greek sanctuary at Pantanello. The site is the first Greek rural sanctuary in southern Italy that has been fully excavated and exhaustively documented. Its evidence-a massive array of distinctive structural remains and 30,000-plus artifacts and ecofacts-offers unparalleled insights into the development of extra-urban cults in Magna Graecia from the seventh to the fourth centuries BC and the initiation rites that took place within the cults. Of particular interest are the analyses of the well-preserved botanical and faunal material, which present the fullest record yet of Greek rural sacrificial offerings, crops, and the natural environment of southern Italy and the Greek world. Excavations from 1974 to 2008 revealed three major phases of the sanctuary, ranging from the Archaic to Early Hellenistic periods. The structures include a natural spring as the earliest locus of the cult, an artificial stream (collecting basin) for the spring's outflow, Archaic and fourth-century BC structures for ritual dining and other cult activities, tantalizing evidence of a Late Archaic Doric temple atop the hill, and a farmhouse and tile factory that postdate the sanctuary's destruction. The extensive catalogs of material and special studies provide an invaluable opportunity to study the development of Greek material culture between the seventh and third centuries BC, with particular emphasis on votive pottery and figurative terracotta plaques.